Something as personal as a ring will always hold a special place in the hearts of both the receiver as well as the giver. For the former, it is a representation of the love and effort put into the search for the perfect ring. For the latter, it is an affirmation that the effort put in was very much worth the while. And indeed, emotionally, the ring represents the connection between two, a reflection of the love that exists between them. Inspired by 4 hearts that cradle the diamond, it conveys the meaning of loving the person from all four corners of the world, north, south, east and west. 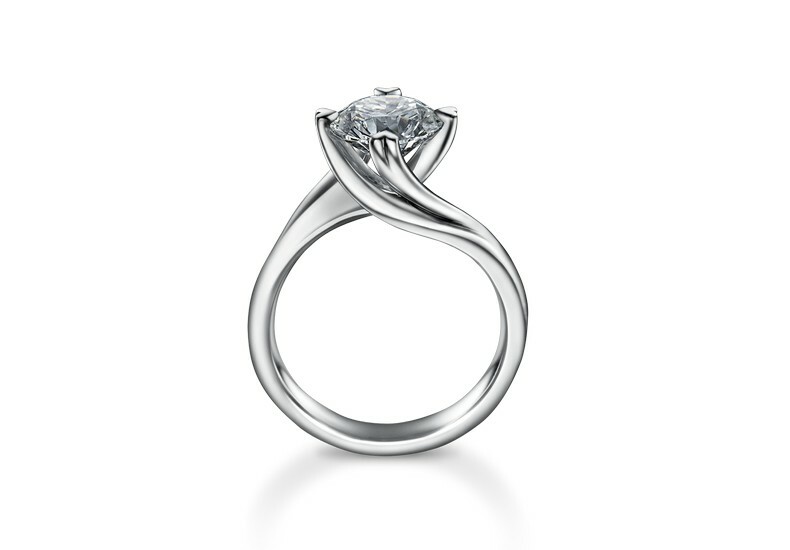 The diamond is cradled with the entwine setting; connecting two individuals and personalities to become one. The Love Diamond is a 57 facet cut round brilliant that is cut into super ideal proportions. Each facet is cut exactly the same as the others, resulting in 8 perfect hearts and 8 perfect arrows when it is viewed under a scope. With the perfection in cut, the diamond sparkles endlessly like a million tiny suns. Tip : Visit Suen Jewellers to have a look at the Entwine Ring personally. Contact details here.